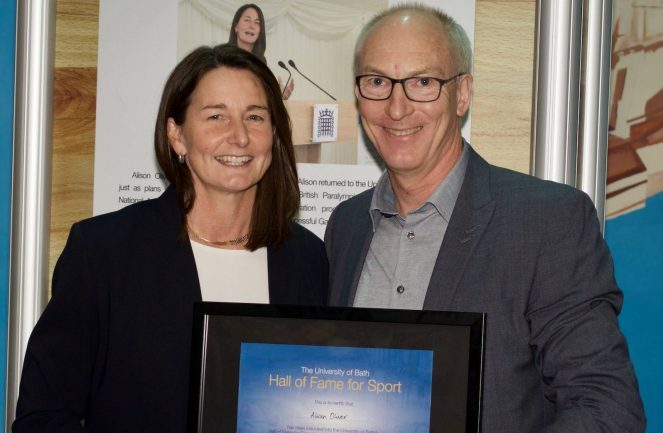 Yesterday Alison Oliver returned to the world-class Sports Training Village, that she helped to establish, to be inducted into the University of Bath Hall of Fame for Sport. 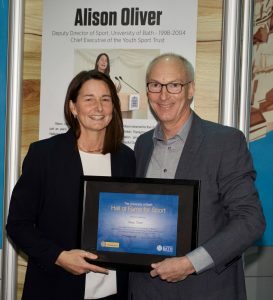 Oliver, now Chief Executive of the Youth Sport Trust, was part of the team that delivered the initial presentation and subsequent lottery-funding and planning applications for the £30million STV during her time as Deputy Director of Sport at the University from 1998 to 2004. The facility has since gone on to be home to Olympic, Paralympic and World Champions, several National Governing Bodies and a thriving student and community sporting hub with more than 1.6million visits to the STV every year. Oliver also created new academic courses including the Higher National Diploma for Sport, now the Foundation Degree in Sports Performance, and – as a keen netball supporter – was involved in securing a Superleague franchise at Team Bath in 2004 that has gone on to be the most successful in the competition’s history. “If you cut me in the middle, I am Blue and Gold through and through and I want to say a huge thank you to Team Bath and the University of Bath for recognising my role in the University family in this way,” said Oliver, who was joined by her proud parents at the induction. 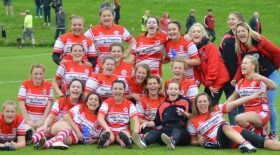 “Bath turned me from a PE teacher with a passion for netball and a love for playing sport into someone who truly understood the power of sport to change lives. Team Bath changes lives – I watched lives changing while I was here and my life was changed by being here. Director of Sport Stephen Baddeley, who inducted Oliver into the Hall of Fame for Sport, added: “Ali was the calm heart of a tsunami of activity whilst Deputy Director of Sport and a real team-player. A former Head of PE at Millfield School in Somerset, Oliver’s time at the University of Bath – working with Director of Sport and fellow Hall of Fame inductee Ged Roddy – was a landmark period of facility and academic course development. She led on the detail needed to pull together the immense project that culminated in the building of the STV and vividly recalls watching ‘the dream come out of the ground’. As well as the Foundation Degree, for which she was awarded the University Prize for Innovation in Teaching, Learning and Curriculum design, Oliver also took the lead in developing the Post Graduate Degree Certificate in Physical Education. Since leaving Bath, Oliver has gone onto multiple national roles with the Youth Sport Trust and, as such, has played a large role in the debates about sport and the national curriculum as well the links between childhood obesity and levels of inactivity. Since 2013 the Youth Sport Trust has helped 4.7 million children participate in sport and physical activity, has supported 99,000 teachers with continuous professional development and has trained 250,000 young leaders, volunteers and teachers in inclusive practice. Oliver is the 23rd inductee into the Hall of Fame for Sport, which was established in 2014 to recognise the outstanding contribution made by athletes, coaches and administrators to sport at the University of Bath and Team Bath. To find out more and see a full list of inductees, visit www.teambath.com/hall-of-fame.